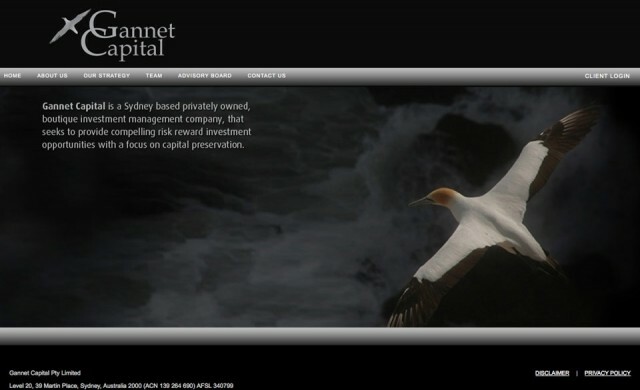 The website for this specialist fund manager was produced for a modest budget. Stylish and contemporary, it communicates an understated professionalism inspiring confidence for potential investors. A Gannet is actually a large bird that dives from great heights to seek its prey – a sweet metaphor for the fund that can recognize rare opportunities when nobody else can.